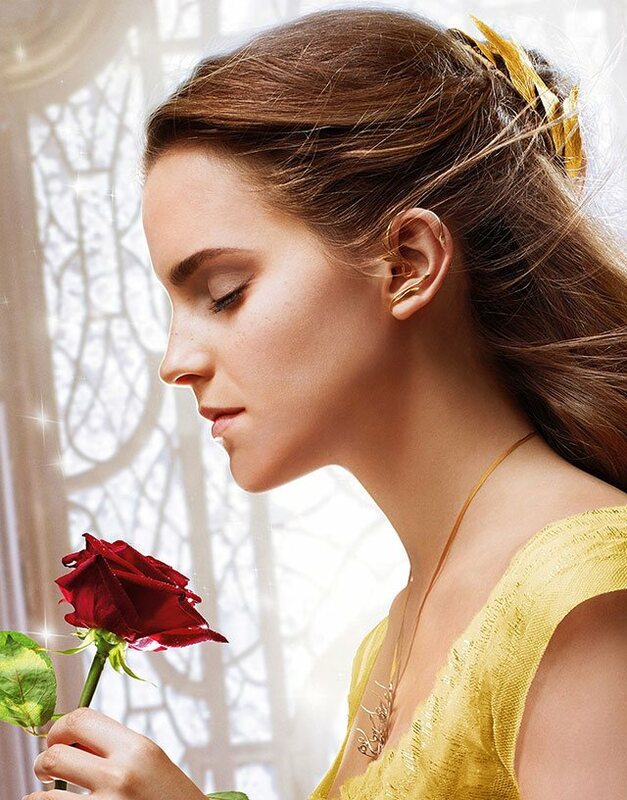 In between reminiscing our childhood, tearing up over familiar scenes, and mouthing along to the songs we knew by heart, one significant detail in Disney's live-action reboot of Beauty and the Beast made us sit up and take notice. It happened so quickly that we'd forgive you for missing it, though we can bet our fashion-inclined readers certainly didn't. As Madame Garderobe preps Belle for that iconic ballroom scene, she adds a few finishing touches to her ensemble. By magic, a strand of gold creeps up our heroine's ear, forming a delicate ear cuff. It's so fresh and unexpected that we found ourselves instantly smitten. It's the sort of accessory you'd find on a girl in a bar in 2017 (worn on just one ear, too), and to see it being worn by a Disney Princess we all grew up admiring makes it even relatable. "The thought process behind those were that everything that is worn in the castle is created in the castle, so it has to sort of partake in the magic enchantment of the castle itself. It was trying to capture this organic sense of that and the way the castle moves and evolves… [The ear cuff] sort of grows around the outside of the ear and looks like a gold plant that's still growing."